Did you know that the Foundation Center offers special classroom training throughout the year in the use of Foundation Directory Online? 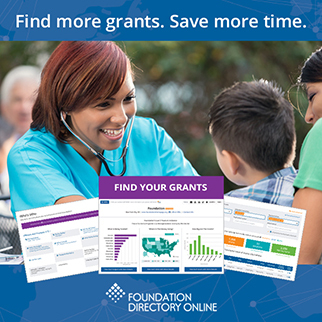 Start with our free, 60-minute Introduction to Foundation Directory Online course for hands-on instruction on the basics of the nation's premier grantseeking resource. For more intensive training, our Foundation Funding Research course is a day-and-a-half program concentrating on strategies for finding and evaluating funder prospects with top-tier FDO Professional. Courses are held at our five library/learning centers in New York, Washington, Atlanta, Cleveland, and San Francisco as well as selected other locations across the country and are conducted by the Foundation Center's team of expert instructors. Please visit the Classroom Training Courses section of our web site for full details and registration information for all of our courses. You'll also find a list of upcoming training dates for Foundation Funding Research on the FDO Home Screen.